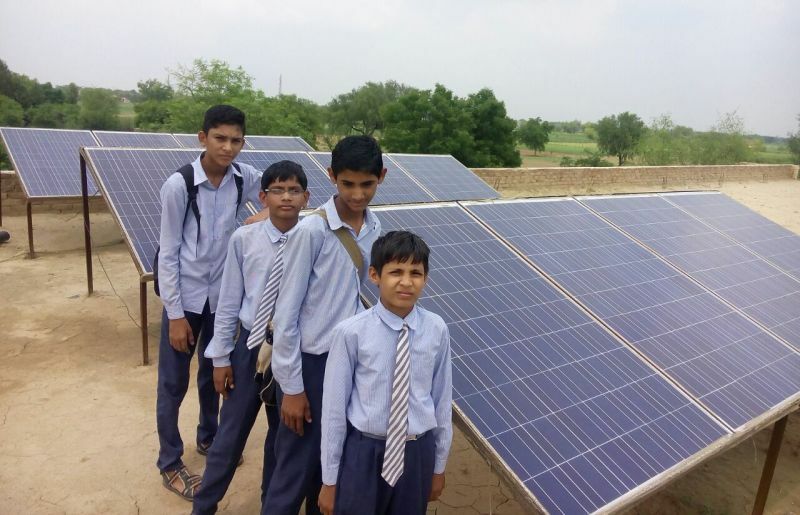 In a much-welcomed step toward power efficiency, Haryana government in India has ordered all privately owned schools in the state to become solar powered. The order to install rooftop solar panels is tailed with a special grant of Rs. 20,000 per kilowatt to schools that will follow the orders stringently. According to a Haryana government official, installation of solar power system is mandatory for all private schools. The grant will be doled out to schools on first come first serve basis, official informs. The schools will be able to use generated green energy for powering their electricity needs. This will help them cut down on energy bills and generate surplus power which could be given back to the grid. Schools in Haryana remain closed for summer vocations in the months of June and July. The electricity generated, at school solar plants, during the two months would be provided back to the grid and recorded through net metering, the government official states. Haryana has huge demand for electricity, which is not really met with current thermal, hydro, and limited solar power plants. This move is a good way for schools to generate enough power for self-sufficiency and even help reduce carbon emissions.